I first embarked upon a Brand Boost with Helendale Dermatology & Medical Spa, developing refreshed logos and branding for the established practice. 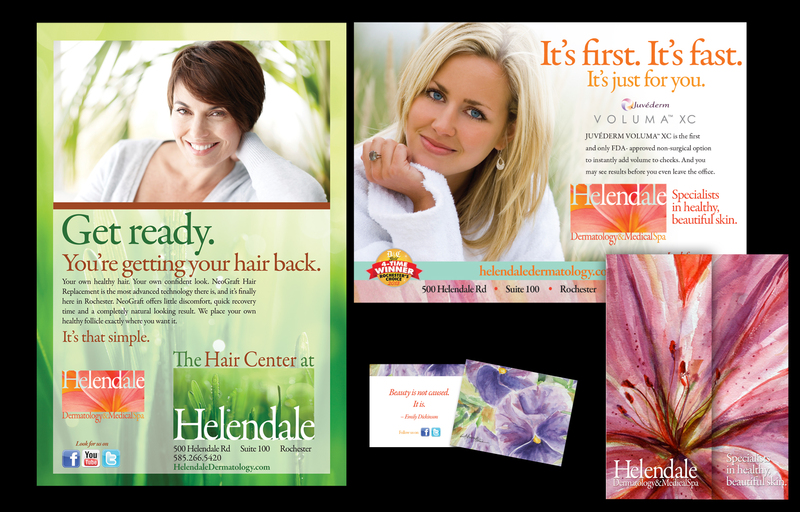 From there, I applied the brand via a Brand Extension to Helendale’s new business, the Hair Center at Helendale. Both projects included brand development, marketing collateral, print and web advertising, packaging, point-of-purchase displays, and signage.